A Swiss rack & pinion railway that collects current from overhead wires and negotiates inclines using the rack and pinions. 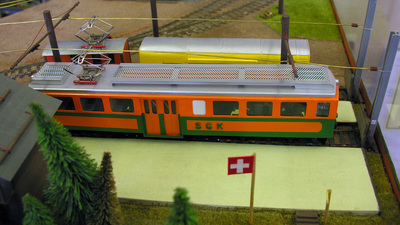 The SGK-bahn is set in the Bernese Oberland region of Switzerland around the village of Saxeten. 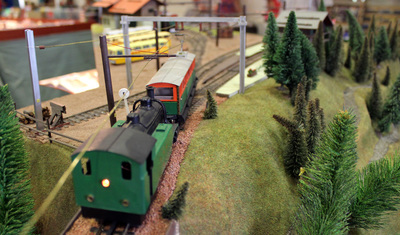 It is a metre gauge rack railway built to a scale of 5mm to one foot - very close to S scale. 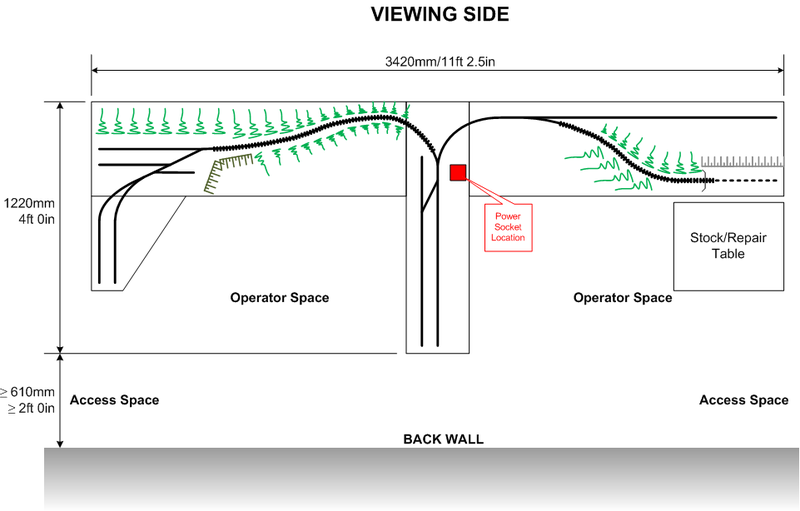 The railway has borrowed stock from the other mountain railways of the region, re-gauging from 800mm to 1 metre gauge as required. 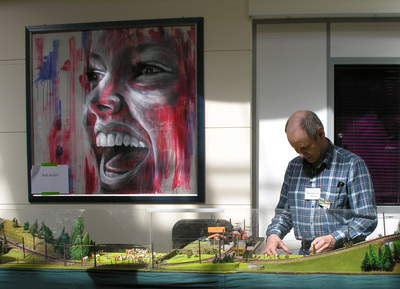 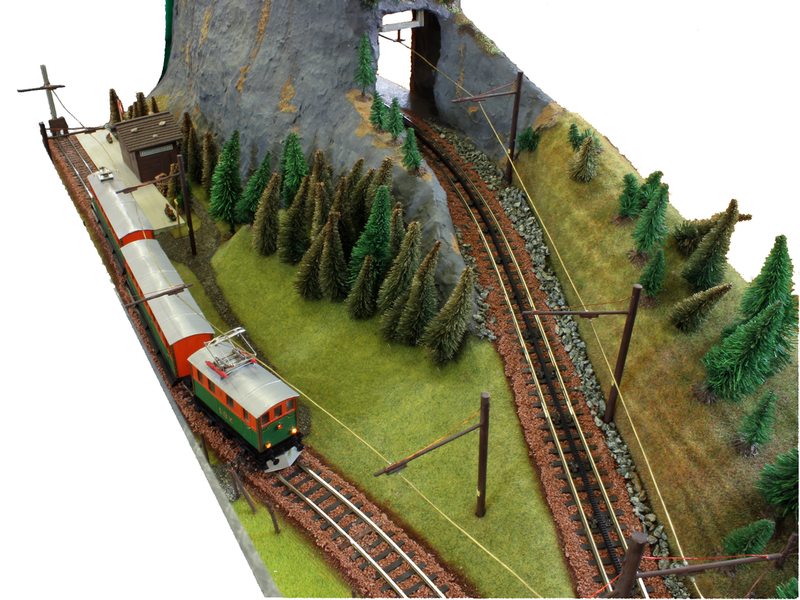 The model uses rack assistance to negotiate the steep inclines, and the catenary is fully working. 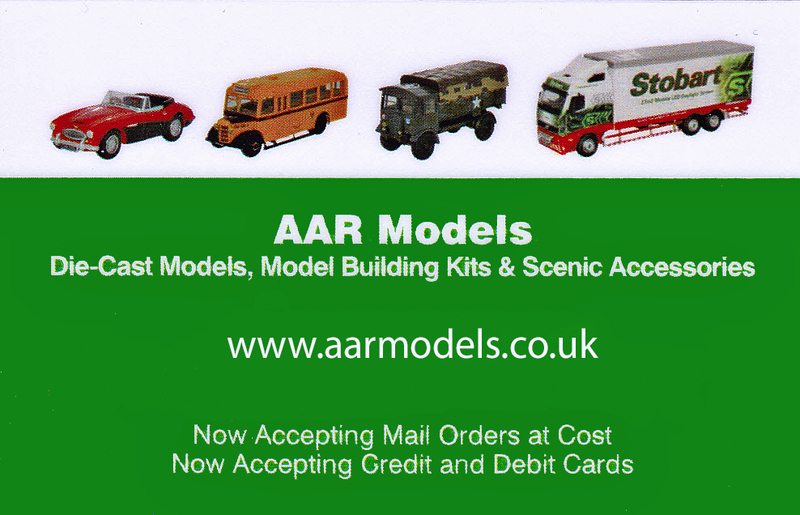 All the stock is scratch-built, using either Fleischmann, Hornby or hand built chassis. The track is a mixture of hand built and proprietary. This railway appeared in the January/February 1982 edition of 'Continental Modeller' and has undergone improvements since then. 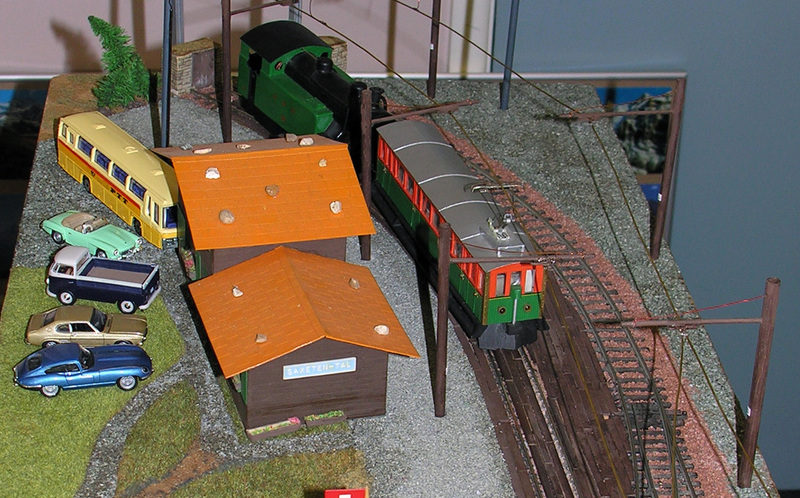 Other - To ensure safe clearances for the catenary, the layout should be against a wall, not in a central block.